Accentuate your living space with the Orion 72&quot; 5-Shelf Wide Bookcase. 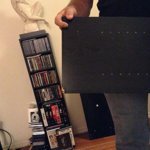 It features two fixed shelves at the top and bottom as well as three adjustable shelves that can be moved up or down as needed to accommodate your collection. It provides plenty of space for books of all kinds as well as decorative pieces and other items. 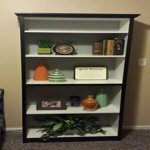 This storage bookcase is made of laminated particle board and features a protective kick plate at the bottom. It's also available in a selection of finishes to coordinate with your decor and other furnishings. The Orion 71" Wide 5-Shelf Standard Bookcase features 2 fixed shelves and 3 adjustable shelves that have plenty of room to display mementos, pictures, books, and more! Accentuate your living space with the Orion 72" 5-Shelf Wide Bookcase. It features two fixed shelves at the top and bottom as well as three adjustable shelves that can be moved up or down as needed to accommodate your collection. 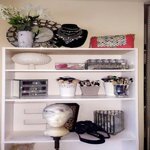 It provides plenty of space for books of all kinds as well as decorative pieces and other items. 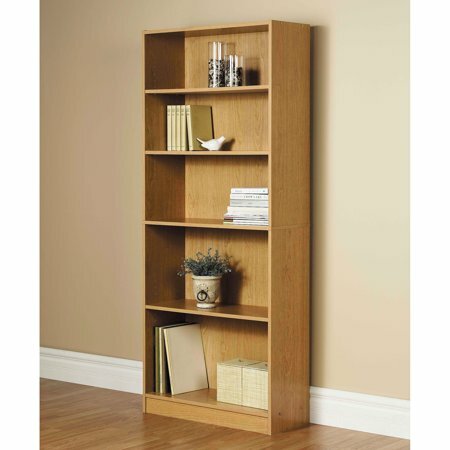 This storage bookcase is made of laminated particle board and features a protective kick plate at the bottom. It's also available in a selection of finishes to coordinate with your decor and other furnishings. 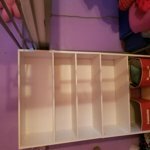 Wanted an inexpensive, but sturdy book case to store some of my daughters things on. Didn't want to spend too much $$$$ as she is getting married next year but I wanted to de clutter the room. Very easy to put together. Looks nice and holds a lot Definitely a good value. 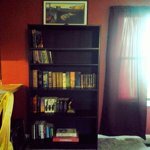 This bookshelf is excellent -- it's really quite sturdy & both my husband and I are very impressed with it. It was very easy to assemble - my hubby can attest to that! 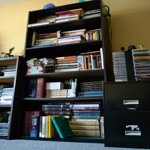 Since we're both college grads, we have quite a few hefty textbooks - and, this bookshelf is holding onto them very well! I would definitely recommend this product. It goes well with everything, as it's very simple and a nice, solid colour. 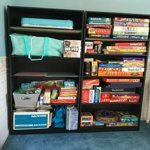 I kept seeing people painting their shelves and the back of their bookcases on pinterest and I loved the look but didn't want to take a chance on an expensive bookcase. I tried it on this one and then my husband added some trim and crown moulding. I love it!!!!! This bookshelf is a pretty good value for the price. It went together easily enough, only tools required are a hammer and a screwdriver. The quality of the wood isn't the best of course and chips easily, however considering the price I paid, I can't complain. From a distance you cannot tell it is cheap and it is relativity sturdier than I expected. It is large and has plenty of space for books and other nic nacks. I would definitely purchase one again. I constantly buy at Ike's and I'm a pro and putting furniture together. It usually takes me 30 mins -1 hr. This thing took me 3 hrs and made me sweat, talking to my self in anger, frustrated... I almost cried. Instruction sheet was not even properly arranged. Instructions were terrible. I found myself screwing stuff and at one point unscrewing them back because the instructions were hard to follow. It was so hard to put I will never buy furniture from Walmart. Its moves too, but overall looks good. 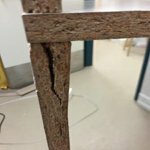 This Bookshelf won't stand straight! This book shelf is terrible. I will be throwing it in the Garbage. I tore up the box. other wise I would return it. such A waste of time to put together. It should be under 20 bucks. Not A dime more. It doesnt even stand up straight . Keeps leaning the carb board backing does not fit. as if it wasnt measured correctly. I have nothing good to say about this item. Except spend more.Get something better. I dont want this to fall on My Kids. so it has to go! 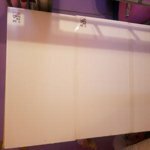 I even tried purchased 4 Foam boards from the dollar store they fit the back much better and were A lot stronger but It's too wobbly to keep. 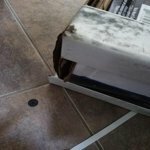 I thought people were exaggerating however this bookshelf arrived--looking like it had been dragged all over the place and parts literally falling out. I attempted to see if all parts were there only to find--no instructions! Also do not expect all edges to be laminated, only the front facing edges are laminated. 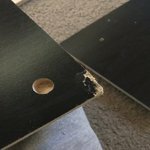 So in addition to poor delivery, poor parts (shelves arrived with chipped corners due to poor laminate quality), I could either attempt to see if I can build it or hope they accept this as a return. I do not recommend this at all especially if purchasing online!